Answer a few questions and view jobs at Macy's that match your preferences. Our goal is to be a retailer with the ability to see opportunity on the horizon and have a clear path for capitalizing on it. To do so, we are moving faster than ever before, employing more technology and concentrating our resources on those elements most important to our core customers. 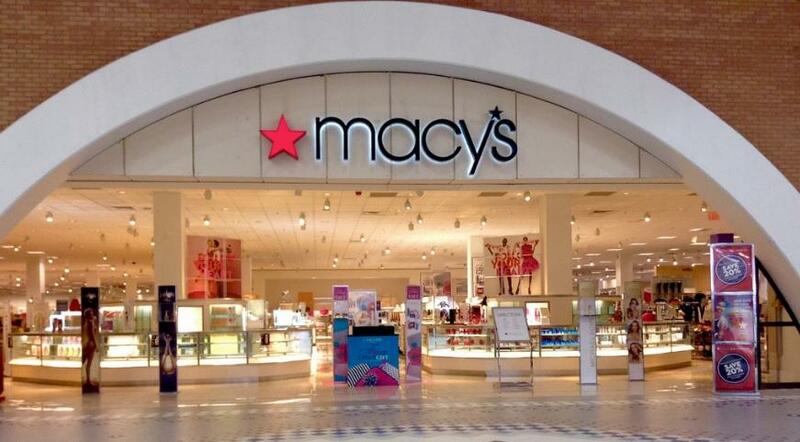 Macy's offers competitive pay and benefits in a caring and service-oriented work environment. Did you work your way up from part-time? My roommate works there. Did you work your way up from part-time? No. I was brought in as a store executive. I've worked small business all my career. Macy's is the first large corp. that I've worked for. So what do you do, exactly? What do your day-to-day responsibilities entail? Are you affected in any way by the chrimbus rush? I run the admin dept. My job is 1/2 HR and 1/2 operations. I'm responsible for all the cash office, hours control, staffing, hiring, customer service, District compliance on damn near everything, and day-to-day admin. Xmas rush has made for very long days. After Xmas rush is inventory, which will make for even longer days. Excuse my ignorance, what's a back of the house employee? Excuse my ignorance, what's a back of the house employee? Loss prevention? I do not work on the sale floor. I work within the admin department. Why the hell don't they just get stronger, or carry a weapon so they can threaten the *** out of a LP guy? I never got thieves. Why the hell don't they just get stronger, or carry a weapon so they can threaten the *** out of a LP guy? A good concealed identity and some pepper spray would *** just about anyone up. They won't be chasing your *** after that. I know if you get caught anyway it'd be rough, but a good escape plan and a decent offensive could be nice. I mean I believe in fight AND flight, eh. Desper - There's several things wrong with your theory. 1. lask.001's description of himself: "6'4", 220 pounds. I have 4 years in the army, trained heavily in unarmed combatives." Heaven knows if he had stopped me I wouldn't even think about resisting. He could probably subdue most shoplifters one-handed. Most of them probably wet themselves when he stopped them and went along like meek but sensible little lambs. 2. Shoplifters are ordinary people for the most part, not career criminals. Teenage boys and girls, moms with kids, lawyers with briefcases, plumbers, etc. They don't fit your description of the mutated X-thief. 3. If someone did what you suggest (which I hope was in jest) as an attorney I can tell you that they would be looking at multiple felony charges: burglary, robbery, and assault with a deadly weapon. To the extent that shoplifters think about the consequences of their actions at all, most of them are betting that they aren't going to go to prison if they get caught stealing a bottle of perfume or a shirt. With your "approach" they surely - and justly - would be behind bars, hopefully, like, forever, or at least until they are too old and weak to hurt anybody. PS - If I were to take you seriously (something I haven't made my mind up about yet) you're the kind of person who makes me believe that stores should be pretty aggressive about handcuffing shoplifters. You never know what a crazy person is going to do. is there any requirements for this job? You can't have any crimal record, that is all. How do you suspect someone of shop lifting? How do you suspect someone of shop lifting? There are times when I have put something in my pocket to buy later and have forgotten about it until I have left the store. Also, I have quickly ran out of stores and such after looking at merchandise. I am an EMT and if I get a call I got to go - though my uniform is not very obvious so on a camera I would look just like an average Joe. I have never been stopped - I have always wished someone would stop me because I don't steal and would like a gift card or something as an apology. emtdan - This is lask.001's site and I don't know what he will say to you. As an attorney, however, I have to let you know that, although "I put it in my pocket and forgot to pay" scenario does happen in real life, it is almost a guaranteed route to getting stopped (assuming you are observed by an eyewitness or on camera) and charged criminally. Loss prevention personnel don't believe that excuse and neither do prosecutors or judges. Sometimes a jury might, but probably a good deal than less than half the time. I'm not judging you. I understand that it really does happen. I am just warning you that it is a bit of inadvertence that can cost you a criminal record. Because of this I try to never, ever put merchandise into anything other than a shopping cart or basket provided by the store. If I don't have enough hands to carry everything, time to go get the basket or cart. What would you have liked to see the average employee trained in to make the loss prevention officers' lives easier? I worked at Macy's for about nine months--not in LP but just as an associate. I know I would have appreciated a lot more training on how to help the LP staff do their jobs--just things to watch out for etc. What would you have liked to see the average employee trained in to make the loss prevention officers' lives easier? At my store we talked to every new employee, and gave them like a 1 hour class on things they could do to help us. For the most part though, we try not to get non-lp employees involved, just because they don't know our rules, and could jeopardize their safety, and our stop. What are some of the best internal jobs you've seen? What are some of the best internal jobs you've seen? Did you ever do internal stuff from a monitoring perspective? I helped with a POS implementation and report building where we ended up looking for: - Exchanges per employee, adjusted by hours - Item lookup modes per employee - Refunds per employee, summed by amount per week - % Non-Receipt Returns per employee - % Cash Refund per employee - UPC/SKU transaction summaries - looking for usage of generic UPCs - Multiple refunds, same originating transaction, by employee - Overrides - Manual SKU entry transactions, by employee - History of daily close (always barely under the threshhold) I was wondering what are some other things other LP people use to find internal fraud. Funny story: they decided I should be in the store to see the opening and closing, to see if I had any ideas on other reports or analytics they could run. I was in the store for like 35 minutes and while I was there they arrested a lady for trying to steal toys.. through use of her kids. I only had one internal while I was working, a female was returning items on the floor to her card. We can look at every transaction EVER that happens, and we can sort by pretty much anything we want. We also have micro cameras that we can place anywhere we want. There are a couple other things we have, but I'm not really comfortable giving out those details - sorry. One, how common is it to handcuff shoplifters? 1. If you don't resist, we didn't handcuff you. You were required to keep your hands out of your pockets and where we could see them though. We also had a detainment center - basically a bench - that you had to sit at while we filled out paperwork. If you didn't stay on that bench you got cuffed to it. 2. We did ours by letter sent out later. 3. We prosecute 100% of the people we stop. 4. We didn't really pay attention to them at all in Minnesota. If they go off and we happen to be around, we can stop people and ask to check their bags, but we would never have detained them. We walk around in plain clothes though, and we rarely stopped people even if we heard the alarms go off. Your situation escalated much farther then it would have i our store, after looking in your bags we would have released you. How many articles did he have on the way in? I used to work package pickup and would love to listen to you guys on the radio...it was like those 50's radio shows. "He is going into the dressing room.." "How many articles did he have on the way in?" So very captivating when all there is to do is prank call GameStop, and radio managers for credit card sign ups - God forbid the manager is busy and can't stop by to give you $1. So I'm curious what are some good shoplifting methods? So I'm curious what are some good shoplifting methods? Any Interesting stories? Don't get caught~ I've got a pretty sweet video of myself flying across the screen tackling someone. On paper the company preaches not getting physical with people, but the criteria that needs to be met to stop someone is so hard to meet, that if they wont cooperate, managers what us to get pretty rough. How Would You Rate Working At Macy's? Are you working at Macy's? Help us rate Macy's as an employer. Alumni Spotlight: Dustin Jones, Senior VP at Macy's, Inc.
How Would You Rate The Company Culture Of Macy's? Have you worked at Macy's? Help other job seekers by rating Macy's. 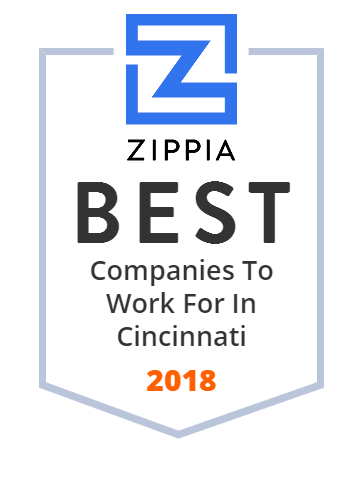 You can find out what it is like to work at Macy's, also known as MACYS INC, Macy's, Macy's Inc and Macy's, Inc..
Zippia gives an in-depth look into the details of Macy's, including salaries, political affiliations, employee data, and more, in order to inform job seekers about Macy's. The employee data is based on information from people who have self-reported their past or current employments at Macy's. While we have made attempts to ensure that the information displayed are correct, Zippia is not responsible for any errors or omissions, or for the results obtained from the use of this information. The data presented on this page does not represent the view of Macy's and its employees or that of Zippia.